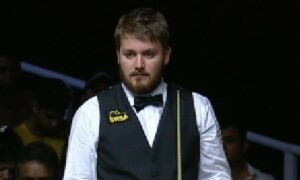 There will be an all-Welsh quarter-final this year in Australia after Jamie Jones and Michael White came through against Mark Selby and Ali Carter respectively today. For Jamie it was an impressive 5-1 victory against the world number one, top breaks of 79 and 68 enough to see him through to the quarter-finals of a ranking event for only the second time in his career. Having struggled for form following his breakthrough 2011/12 campaign, Jamie has improved notably over the last year and with this win moves back into the world’s top 32 ahead of the draw for next month’s Shanghai Masters qualifiers, meaning that he will have to win just one match at that event, rather than three. His eyes for now though will be on tomorrow’s match with his good friend Michael White, who edged out Ali Carter 5-4 in a closely fought match. Unusually, Ali actually had a 5% advantage in terms of pot success, but having failed to take advantage of having earned the first chance in the decider following an excellent plant early on, fortune turned against him as the frame progressed. Now up inside the top 16 and a tournament winner, it will be very interesting to see how Michael gets on this season as one of the hunted, rather than the hunters and how he stands up to that additional pressure. So far so good for the Welshman. 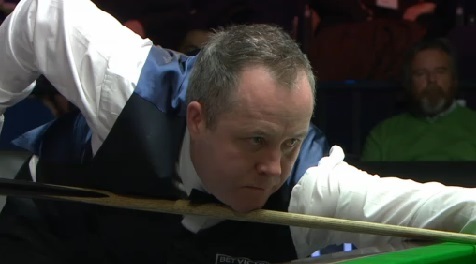 Elsewhere today, there were wins for John Higgins and Joe Perry, who will now meet in one of tomorrow’s quarter-finals. In Joe’s case it was a 5-3 victory against Robert Milkins, a result that confirmed White’s place inside the top 16 for the Shanghai Masters, while Higgins top scored with a run of 98 in a comfortable 5-1 win against Fergal O’Brien. The last quarter-final will be contested between Martin Gould and Matt Selt, after the pair came through against Michael Holt and Mark Joyce today. Gould was particularly impressive in hitting breaks of 109, 93, 91 and 62 to defeat Holt 5-3, while Selt required a deciding frame in order to progress to his third Bendigo quarter-final in three attempts. Clearly it is a venue that suits the world number 30 and he will now be looking to progress even further in 2015.